Prof. Kolapo Olusola Eleka was born to the family of Elder and Deaconess Olusola Ojo Eleka of Eleka’s compound in Ikere-Ekiti some 49 years ago. He started his educational pursuit at St. Matthew’s Primary School, Ikere-Ekiti (1972-1978) and had his Secondary School Education at Annunciation School, Ikere-Ekiti (1978-1983) where he recorded exceptional outstanding performances as an award and prize winning best student throughout his sojourn in the schools as a born scholar. The enviable academic feat was equally achieved in his first degree five-year University education at Obafemi Awolowo University, Ile-Ife between 1984 and 1989. He had his first degree in Building from Obafemi Awolowo University (OAU) and graduated as the best student in his set. Prof Kolapo Olusola also holds a Master’s Degree in Construction Technology from University of Lagos in 1993 and Ph.D. in Building Structures from Obafemi Awolowo University in 2005. Prof Kolapo Olusola started his career in 1990 as a Graduate Assistant from where he rose through the ranks to become an Associate Professor in 2009. Until his election as Deputy Governor of Ekiti State, Prof Olusola was an accomplished teacher in the Department of Building, Obafemi Awolowo University for twenty-four (24) years. At the postgraduate level, he had successfully supervised two PhD students at Obafemi Awolowo University. He also successfully supervised two PhD students at Covenant University, Ota; as main supervisor of one and as co-supervisor of the other. He had equally supervised two M.Phil and nine M.Sc. students, all in the field of Building Structures within the past nine years after obtaining his PhD degree. He had severally served as External examiner in many Universities within the country. His research interests are mainly in the field of Alternative Building Materials Development for Housing Construction, Construction Technology and Structural Mechanics. He has over fifty (50) academic research publications in local and international journals and conference proceedings to his credit. Beyond this high profile reputation and enviable aforementioned academic records, Prof Kolapo Olusola is a very diligent, hardworking and principled leader whose legacies and achievements in the areas of human-power empowerment and capacity building during the past few years as the Ekiti State Deputy Governor has continued to attract many admirers and followers to him. As an epitome of humility, he radiates love and affection towards people around him. More significantly, his unflinching loyalty to his boss, His Excellency, Prof Peter Ayodele Fayose, the Executive Governor of Ekiti State is notable and has made both the young and old people of Ekiti adjudge him as “Stabilizing Factor” and a special gift not only to his boss but to the entire people of Ekiti State. Under the supervision of this great achiever and with the unwavering and resolute support of his boss, Ekiti State moved from thirty fourth (34th) position under the immediate past administration to eleventh (1Ith) position in WASC organized examination in 2016. For the first time in Ekiti State’s history, Ekiti State came first (1st) in NECO organized examination with a cumulative score of 96.48% in 2016 as against 58% of the immediate past government in 2014. It is on record that under the supervision of Prof Kolapo Olusola, Ekiti State represented Nigeria in an international debate competition in Singapore and was awarded the “Best First-Timer Performance” trophy; just as Ekiti State was equally rated the overall best in Young Nigerian Scientist Presidential Award (out of 774 participating students) in 2017. In addition, Ekiti State emerged with Best Performance in Junior Engineers, Technologists and Scientists (JETS) in Interstate Quiz Competition in 2017; also, the state won the overall best student performance in 2016 (Science Teachers Association of Nigeria) STAN-organized Science written and quiz competitions. 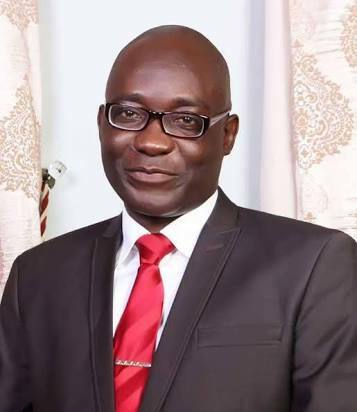 It is worthy of note that Ekiti State, through the introduction of new approach to teaching by the State’s Ministry of Education, Science and Technology under the amiable leadership of this Deputy Governor, emerged overall best in the Southwest ANCOPSS-organized essay competition and attained Third (3rd) position in the National Essay Competition in 2017. Similarly, Ekiti people have continued to commend this excellent innovator for his Spelling-Bee initiative which has apparently returned reading culture and healthy academic competition in schools through the scholarships it offers to the best students and pupils in each category of the competition. No doubt, Ekiti State is generally peaceful and progressing educationally. For this, the people are happy and appreciative of this unique being and personality. As a Christian, Prof Kolapo Olusola stands out in his mentorship roles as the Former National Coordinator of the Christ Apostolic Church Students’ Association (CACSA) Fellowships in Nigerian Higher Institutions. He is currently a member of the Governing Council of Christ Apostolic Church Students’ Association being the apex body of the group. His achievements are being attested to by many young people of the church especially on moral and spiritual development, leadership capacity-building, self-discovery and maximization of good talents; which he successfully achieved as the Osun State Coordinator (1998-2004) and later as the Head, Directorate of Higher Institution, NYSC and TEENS Affairs for 10 years (2004- 2014). As a mentor and teacher to students, he is renowned for his teachings on integrity, faithfulness, diligence and so many other aspects of leadership traits and of course the doctrines of faithfulness and loyalty as ways to be effective and productive as future leaders. Professionally, Prof Kolapo Olusola Eleka is an accomplished Registered Builder who had previously held very important positions at state and national levels (Osun State N.I.OB. – Nigerian Institute of Building – Chairman 2006-2009 during which the state Chapter was able to host the national convention of NIOB for the first time; At National level – Registrar of N.I.O.B., 2007-2009, Research Secretary 2009 – 2011 and Member, National Council of NIOB, 2006 – 2011; Examiner, NIOB 1998-2002; 2006 – 2011). – Award of Recognition for contribution and commitment to the growth of Education in Ekiti State by Shepherd International College, Nigeria. – Special Achievement Award for Nation-Building and Grass-root Development by Oshoko Mass Movement, Nigeria. – Outstanding Award of Recognition for Commitment to Education by Gemina Illuminous International, Nigeria. – Award of appreciation by Christ Apostolic Church, Victorious Assembly, Ile-Ife. — Award of Grand Patron by SACHSO old students association. – Ohaneze Award as Enyi Ndigbo in recognition of commitment and contribution towards the welfare and progress of NDIGBO in Ekiti Land. – Award of Excellence as “OUTSTANDING Old Boy” by Old Boy’s Association of Annunciation School, Ikere – Ekiti. – Award of Excellence as the Best Friend of Nigerian Students by Students’ Union Government, Federal Polytechnic, Ado. – Award of Honour by National Association of Ikere Students; to mention a few. Prof Olusola is an ordained Pastor in Christ Apostolic Church Worldwide and he is happily married to Deaconess Janet Olusola and blessed with three precious children. Olayinka is a Senior Special Assistant to Ekiti State Governor, His Excellency Ayodele Fayose. He co tributes this piece from Ado-Ekiti.